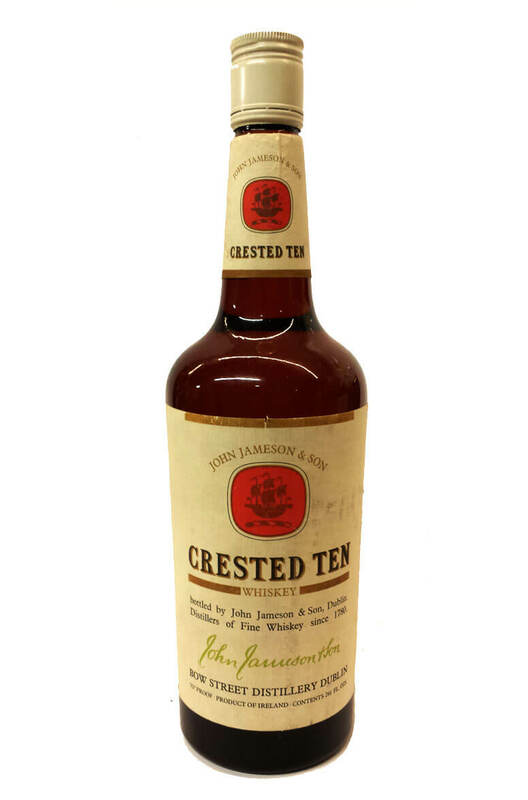 This is a Bow St Jameson era bottling of Crested Ten. The contents are listing in Fl Oz and the proof as 70 (40% ABV). In very good condition with some minor scrapes and tears on the label. This most likely was bottled in the 1960s or 1970s. This is the older version of Jameson Crested Ten (now relabelled as simply 'Crested'). These..